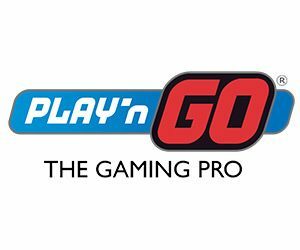 Play‘n GO is a company that started in 1990. Its founding members are self-proclaimed geeks who began their careers as consultants for some of today’s leading brands. After operating on individual bases, they pool their talents together and create a game studio. And a platform that is not only technically superior to many but is extremely stable too! Ever since their beginning on the outskirt of Stockholm, the company branched out! In fact, even if Play‘n GO still operates in Växjö where the company started, they have offices around the world. Indeed, this gaming giant is proud to employ thousands of people that contribute to making great games. They have offices in the Philippines, Malta, Budapest, London and Sweden. And it’s the cultural diversity that these people bring to the table that helps this studio’s game to thrive and get noticed by players across the world. Why are Play‘n GO slots so popular? Play‘n GO games are extremely popular not only because they’re beautiful and stable on any devices. But also because they’re games are easy to understand and generally speaking have an RTP that averages 96%. Which means they’re a safe choice for everyday pleasure seekers! And given the fact that their portfolio includes over 125 games (slots and table games). Everyone will find a game that will appeal if they browse through their selection! What’s more is that in the past year or so, Play‘n GO seems to have embraced the cultural diversity that its employees bring to the table. In fact, we’ve seen games of various themes like: Vikings, Asian and even central American land in casinos. Perhaps this has much to do with the fact that this company is keen to expand its customer reach around the world. Games that focuses on the gameplay! Play‘n GO games even if they’re beautiful are frequently in 2D. And yet the winning animations and bonus games are still compelling! Even more so because their games load extremely quickly on mobile devices. But given the fact that tech-savvy people founded the company you’d expect that from them! Another great thing about Play‘n GO games is that whenever the studio release a new game genre, it comes with a fantastic tutorial. And to this day, they’re the only game studio which offers this types of extra explanation to players. Which means that once you’ve viewed the tutorial, you can 100% focus on the game itself! Very much like many prolific game studio, Play‘n GO has received many awards. These awards prove that they’re at the top of their games. Their most recent win occurred at the B2B EGR 2018 where they won the coveted title of Slot Provider of the Year Award. Also its worth pointing out that in the same evening the studio received seven other nominations. These nominations highlighted their innovation, the portability of their games and the algorithm used too. Their slots are available in all the casinos listed on this site, so visit them now to see if you’ll like them too! And remember that you can always claim a casino bonus to have more money to play with if you’d like.